I was hopeful that this would be a tool for planning a trip with friends but was disappointed that there is no option to add collaborators like you can with Google Docs and Sheets. I do like that it automatically collects my flight and lodging reservations from my email. I also like the local guidance it has about things like transit, tipping, and emergencies. Give us the option to collaboratively create trips and itineraries and I would bump this rating up a star or two. Trying to plan a trip with friends but there's no way to collaborate with others. App seems promising, but Day Planner is very restricted. It’s hit or miss on allowing you what places you can choose to add to your plan. Only about 1/4 of the places are available to choose from. I was able to zoom in on the map, see the place I wanted to go, but when I clicked on the icon, theres no option to use it in the plan... there’s a ton of places with the same scenario. Seems like a critical feature for a “Trip planner” to allow you to, say, actually plan your trip. This app was clearly designed by those that have never planned a trip. 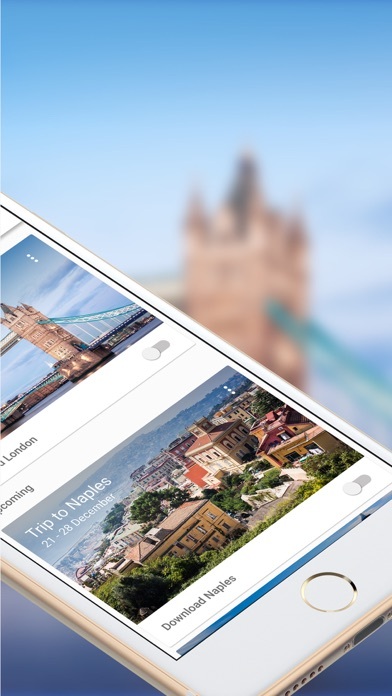 It is meant for those that don’t know the city they want to visit and just let the app give you the itinerary. 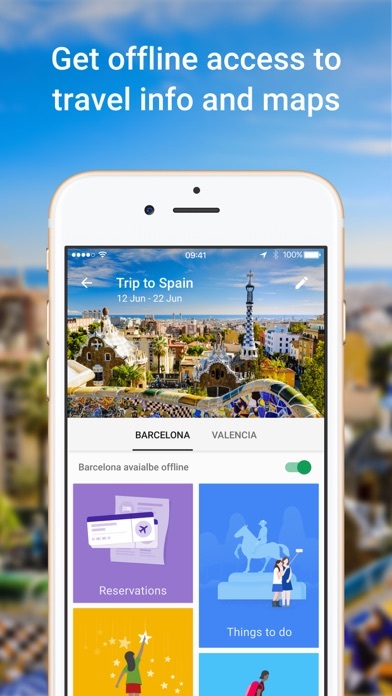 It severely lacks the ability for users to create their own itinerary. Such a disappointment. 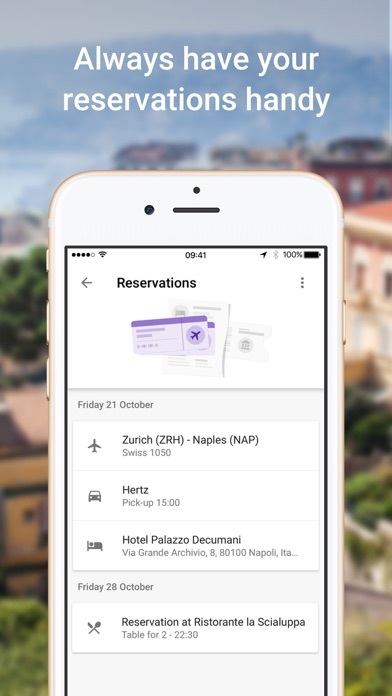 The app is almost the perfect travel app, but my only gripe is that on the day plans you cannot chose anything as a destination. Only the spots in blue can be added, so you can’t include the hotel or food in the food plan, which is a shame, so I’ve resorted to google sheets for my itinerary. Not devastating, but disappointing. Please fix and this will be the only app for travel. 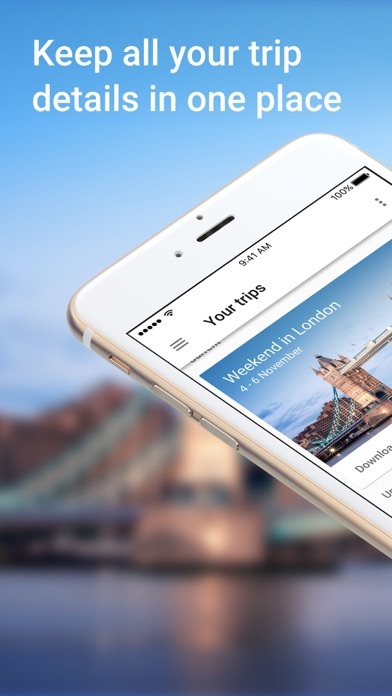 Trips bundles relevant trip information into one trip listing suggestions for each site. 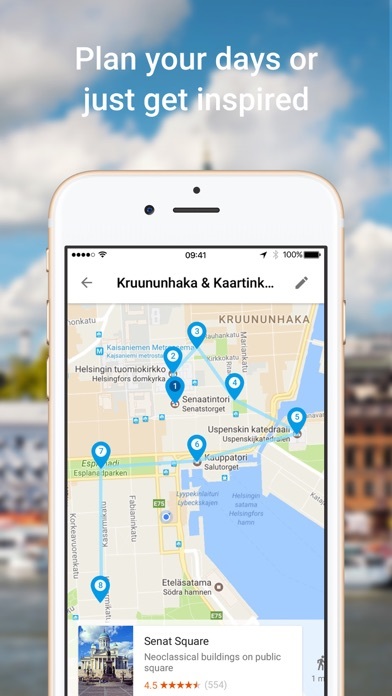 This is a particularly wonderful app as a reminder of the trips taken for when you need to list all locations you have been to. This app is ok, but it could improve. It doesn't have many options, and is hard to navigate through. I think it would be helpful if this app also had a packing list feature, so instead of having to get lots of apps to plan one trip, you only had to download one. Otherwise, this is a great app! For the past several months, I’ve been planning a trip that will start next month. This app keeps deleting reservations that I’ve already entered. I’ve had to manually re-enter several flights 3 times already. Also there’s no “sync” button to ask the app to upload reservations from your email account, so it *sometimes* notices a new reservation and other times I just have to go in and add it. Then re-add it when the app somehow forgets it. This apps needs improvement, won’t be able to use it for my upcoming trip because it is unreliable, but I hope it will be better in the future. Not only was this app convenient, organized and so helpful, it actually gave me piece of mind! They give you information about where you’re traveling, like how to get ready emergency services, how to get around, the currency exchange, etc. I had so much hope since I generally like everything Google, but this seems to be an afterthought and not something anyone is paying attention to. It only syncs with airline and hotel reservations in Gmail and does not seem to recognize Airbnb. There is no way, other than notes, to record tour reservations. You cannot search for and map restaurants and sites that you want to check out, you can only scroll through their limited selection. All in all it is a disappointment and I am moving on. A spreadsheet is better than this.